Africa Day At George's Dock In Dublin Docklands [Fashion Show Scheduled For Sunday], originally uploaded by infomatique. 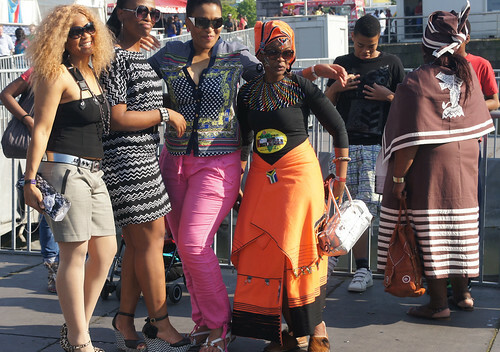 On Sunday, 27th May, visitors to Africa Day Dublin are encouraged to deck themselves out in their finest African finery and present themselves at the ‘Best Dressed’ competition stall in the African Bazaar between the hours of 12 noon and 4pm to do their best to impress the judges! Shortlisted entrants in the ‘Best Dressed’ competition will be notified between 4pm and 5pm, and invited to participate in a special parade and fashion show on Stage 1, during which the overall winners of the competition will be announced. Prizes will be awarded to the best dressed man, woman and family.